Her protest against segregation in a Nova Scotia theatre cemented her place in Canadian history. 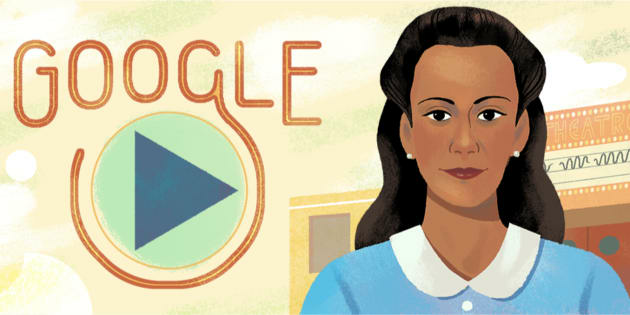 The July 6 Google Doodle honours Canadian civil rights icon Viola Desmond. The artist behind Friday's Google Doodle of Viola Desmond thinks it's a shame more Americans don't know about the Halifax-born civil rights icon. But it was fun drawing something specifically for a Canadian audience, American illustrator Sophie Diao said. "I could add some details that were more focused to Canada," Diao told HuffPost Canada over the phone from her home in San Francisco. "Things that Canadian audiences would pick up on, like the flag of Nova Scotia, or a kid wearing a Canadian hockey jersey. If it were more well-known, or more countries were seeing this doodle, it would be harder to have that local flavour." The doodle comes in honour of Viola Desmond's 104th birthday — she was born on July 6, 1914. She cemented her place in civil rights history in 1946, when she was in her early 30s. Desmond challenged racial segregation at a movie theatre in New Glasgow, Nova Scotia by sitting in the whites-only section. When she refused to leave, she was arrested, forcibly removed, and made to spend the night in jail. Viola Desmond was forcibly removed from a Nova Scotia theatre after she refused to leave the whites-only section of the cinema. The Google Doodle slideshow illustrates Desmond's arrest at the theatre, as well as her subsequent court appearance. She was charged with attempting to defraud the provincial government because she allegedly refused to pay the one-cent difference between the white and non-white ticket prices. She attempted to reverse her charge to no avail, but her stance against discrimination was a pivotal for Black Nova Scotians. For decades, Desmond's story was largely unknown to many Canadians — unlike Rosa Parks, whose arrest for standing up to segregation laws came almost 10 years after Desmond's, her legacy had not been taught in the vast majority of Canadian schools. In putting together the Google doodle, artist Diao said she drew on Desmond's identity as a businesswoman as well as her activism. Because Desmond had operated a company that sold skincare products to Black women, Diao used many 1940s beauty advertisements as inspiration. She also looked at photographs of architecture from that era, as well as newspaper clippings, particularly from The Clarion, the local newsletter in Desmond's community. "I wanted it to feel like it was from the '40s," Diao said. Demond was a successful businesswoman with her own salon. Diao said Desmond's portrait was one of her favourites to draw. She saw inspiration in the way Desmond's sister, Wanda Robson, brought an important but relatively unknown story into the public consciousness. "I thought it was really cool that something can be forgotten, but come back eventually. It always comes back, it always resurfaces," Diao said. "It wasn't in vain, what she did." With a file from Lisa Yeung.